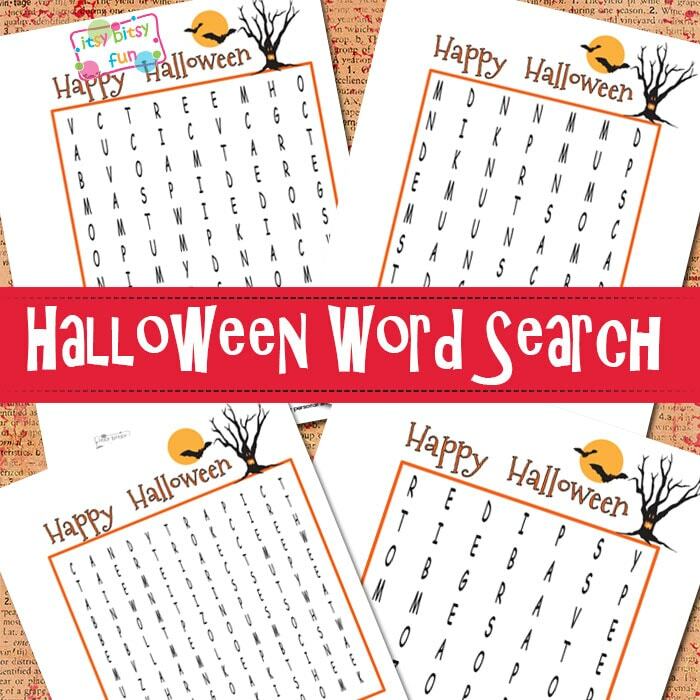 What better way to practice on your kids reading skills than to have them solve the Halloween Word Search Puzzles! Word search puzzles offer great exercise for the brains (young and older) so be sure to solve one or two yourself too (I promise they are fun). So are you getting ready for the awesomest time of the year? This is one of my favorite holidays as you know you can totally dress up and act like a kid (we should have days like this every month if not even more often if you ask me). Wordsearches are one of my favorite kind of worksheets as kids love to solve them and don’t even view them as worksheets (that’s why they are really great to use in all kinds of learning!)! 4 “hard” ones with 18 words to find. 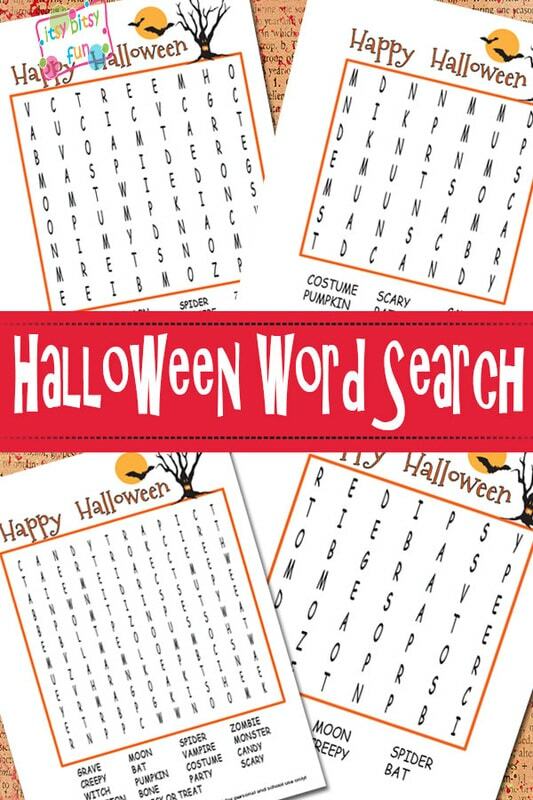 Get Free printable Halloween Word Search Puzzles here. For the young and eager learner in your house be sure to grab and print the Halloween file folder games. There’s a whole lot of other fun Halloween worksheets for kids just waiting to be printed. If you want to keep things fun be sure to grab these coloring pages too!